Celebrate Halloween at our fun-filled pumpkin patch meadow, with free pumpkins, activities, and treats for the kids. Our long-standing Halloween tradition continues this year and immediately follows the Piedmont Avenue Merchants Association’s annual Halloween parade, which is part of a daylong celebration that includes trick-or-treating at participating stores on the avenue. To join in the fun, head down to the end of Piedmont Avenue after the parade and proceedinto the cemetery to the pumpkin patch meadow. 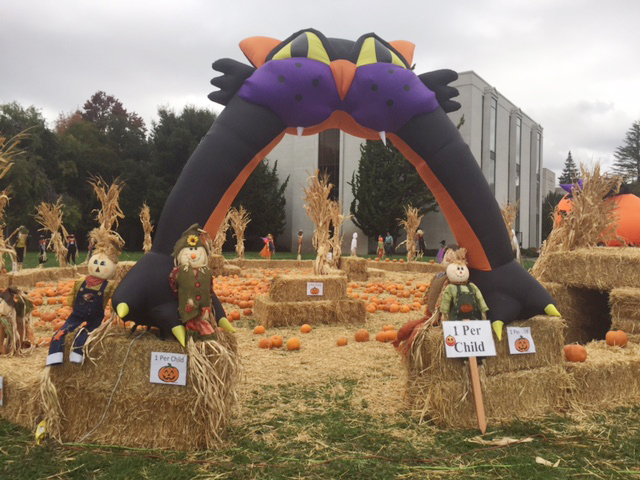 Children can choose a free pumpkin (one per child) and enjoy lots of other activities, including: several “jumper” inflatable funhouses to jump around in, a hay-bale tunnel, a clown balloon artist, face painting, and a craft area to decorate pumpkins, masks, and treat bags. Food truck vendors will be onsite. Parents must accompany their children to this event.